Arbitration has become a preferred way of handling legal disputes instead of long costly court room battles. Arbitration clauses can be found in most contracts today in order to avoid court when a dispute arises. 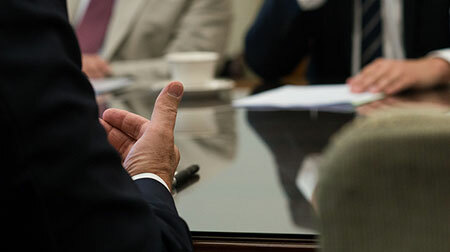 Arbitration is used in a variety of cases, ranging from those involving contractual disputes to personal injury settlements. Arbitration is a form of alternative dispute resolution. Arbitration uses a neutral third party or tribunal to review the case facts and evidence to determine a fair resolution for the parties involved. Arbitration can be voluntary or non-voluntary. An example of a non-voluntary arbitration is when a contract is voluntarily entered into, but the contract has an arbitration clause that stipulates that if any legal issues arise the parties will handle the dispute through arbitration instead of going to court. Another example of non-voluntary arbitration is when arbitration is mandatory by state statute. Many states require arbitration in certain circumstances. An example of voluntary arbitration is when parties to a car accident mutually decide to get an arbitrator to review the case and determine fault and damages. An arbitration decision can be binding or nonbinding. This is usually stipulated in the arbitration clause or determined before arbitration begins. If the arbitration is binding then the court can enforce the decision made by the arbitrator. If arbitration is voluntary then both parties must agree to arbitration and must both agree on whom will be the neutral third-party arbitrator. Sometimes pre-hearing conferences are used to set the ground rules of the arbitration. If an agency specializing in providing arbitrators for matters is used, then the agency will have its own set of pre-established rules. The arbitrator exceeded their powers. The Supreme Court of Texas, however, expanded the judicial review of arbitration decisions. In Nafta Traders, Inc. v. Quinn, the court ruled that the Texas Arbitration Act superseded the Federal Arbitration Act, allowing parties to contract the right of judicial review of arbitration awards. Also, the Supreme Court of Texas, in East Texas Salt Water Disposal Company v. Werline, ruled that if an arbitration decision is vacated by a lower court a party also has the right to then appeal that decision to a higher court. There are several advantages to arbitration. Arbitration costs less than court and is more efficient because it often goes quicker than traditional litigation. Arbitration can also be more convenient, since the time and place of the arbitration can be virtually anywhere the parties agree to. Also, the parties get to pick the arbitrator or the agency that will provide the arbitrator who will make the final decision. Many enjoy arbitration over court because the process is private; arbitration decisions are not published, unlike court decisions. Also, there is generally no appeals process, making arbitration awards more final than court decisions; however, Texas is unique in this situation and allows judicial review of an arbitration decision. Arbitration is also thought of as having the advantage of “splitting the baby”: arbitrators are allowed to split the blame and relief among the parties. There can also be disadvantages to arbitration. Although arbitration is generally quicker than taking a case to court, when arbitration involves a tribunal the final outcome can take longer. Also, sometimes the parties must pay for the arbitrator, and in general neither side is able to seek attorney’s fees. Arbitrators are also not bound by the applicable law. When a settlement cannot be reached in a personal injury case, the parties may agree to either mediate or arbitrate the case instead of going to court. Insurance companies, such as health insurance or auto insurance companies, may have mandatory arbitration clauses in place when settlements cannot be reached. Sometimes a high-low agreement will be reached between the parties before beginning arbitration. A high-low agreement will determine the maximum and minimum amount allowed to be awarded during the arbitration. Arbitration can be beneficial to both parties as a way of settling a personal injury case. The process of arbitration can be much quicker, less expensive, and more convenient than going to court over a legal matter. To speak with a Houston accident attorney at Sutliff & Stout about your case, please text or call (281) 853-8446 anytime, 24/7. We look forward to serving you.